I received a few items from TesterKorea within the frame of their Beauty Tester Event. 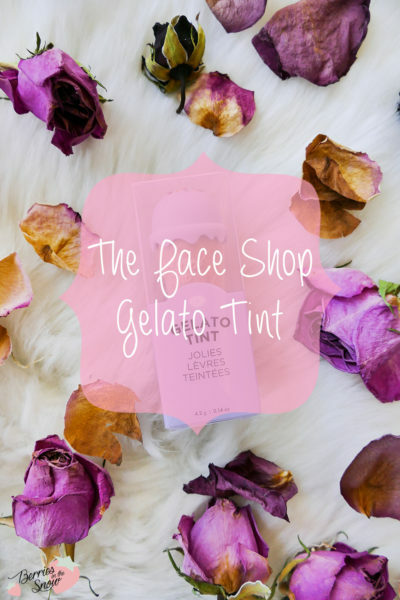 The first item that got my attention was the The Face Shop Gelato Tint, which I want to show you today! Let’s face it: The packaging is so cute and unique, no wonder it screams “Buy Me!” into our faces. Moreover, I love Korean Lip Tints! It already seems like this one will be a hit for me. The Face Shop is a Korean brand that “shares the benefits of nature”. It launched in 2003 in Korea and tries to bring together science and nature in their cosmetics products. They have a huge range of items and most of the items I tried from this brand I actually did like. Also, from time to time the brand comes up with unique packaging designs and it comparable to Tonymoly or Etude House. 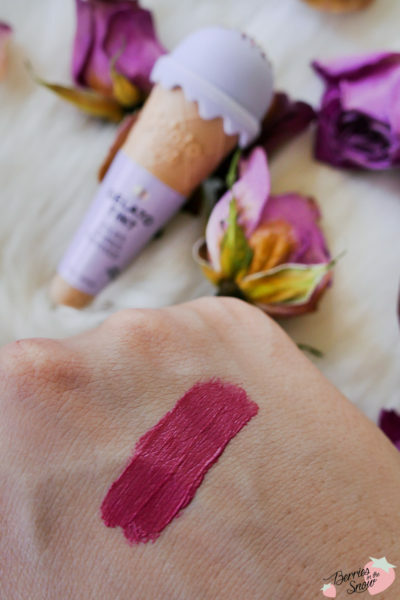 This The Face Shop Gelato Tint is a perfect example! 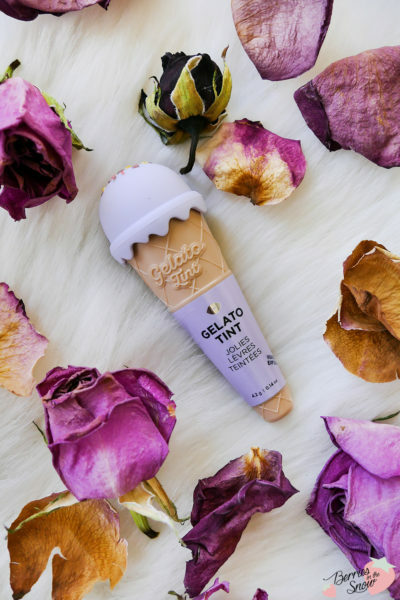 The Face Shop Gelato Tint is a creamy lip tint that comes in 6 different shades that come in ice cream shaped containers in pastel colors. 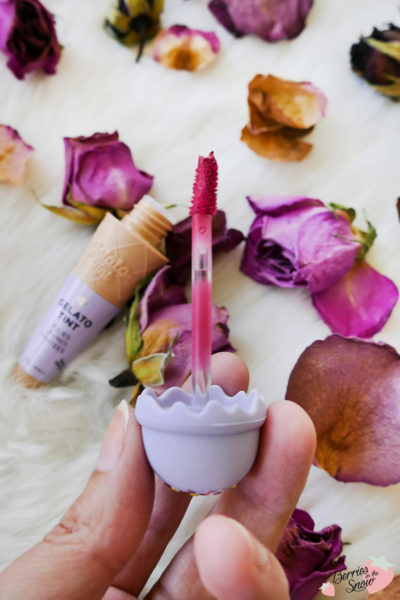 The description says that these tints melt like soft ice cream on our lips with the melting mousse texture, long-lasting color, and 4 different plant oils, which are rose hip, safflower seed, apple, and mango oil. The color I selected is called Strawberry&Cream (No.02) and is a vibrant strawberry pink shade. 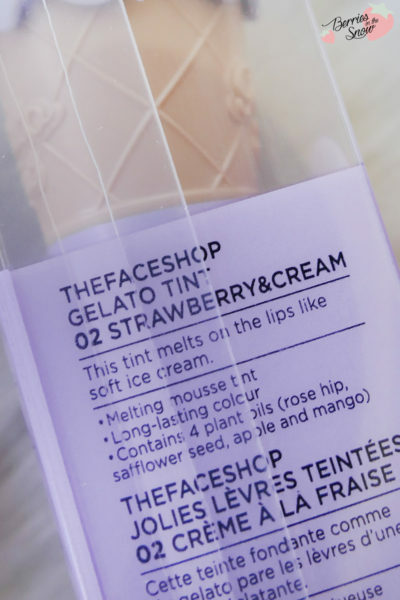 Let’s take a moment to look at the beautiful and perfect packaging design of The Face Shop Gelato Tint! Despite being made from plastic, the plastic has a soft touch and doesn’t feel cheap. Even look at these details: there are sprinkles on the ice cream and the cone has a typical waffle pattern, too! When removing the lid you see the attached angled brush applicator. The lip tint is scented like strawberry bubble gum! The product has a mousse texture, as stated in the description. The tint is thick and vibrant in color and applies smoothly. The Face Shop Gelato Tint is not drying when applied to the lips. On the contrary, the mousse texture feels more like a lip butter. The color is pigmented and shows nicely even on my lips. It will not last a meal, but the stain stays on the lips some time and disappears in a nice and even way. The tint comes with 4.2g of volume. 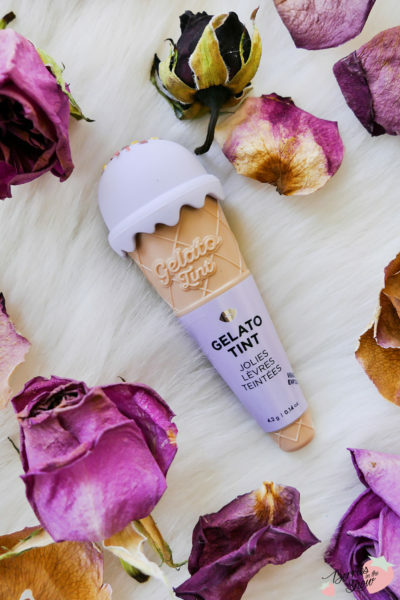 I enjoy using the The Face Shop Gelato Tint, and although we have autumn now the cute ice cream shape reminds me of summer and makes me smile. I love the packaging design and the fact that it is not made from simple and cheap plastic but feels like a nice fabric and has all these tiny details. 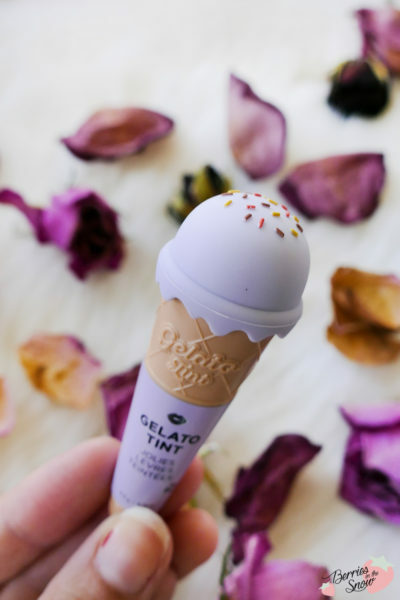 If you love mousse tints and cute packaging this one is for you! If you are sensitive to strawberry bubble gum scents in cosmetics products I would not recommend this tint though. 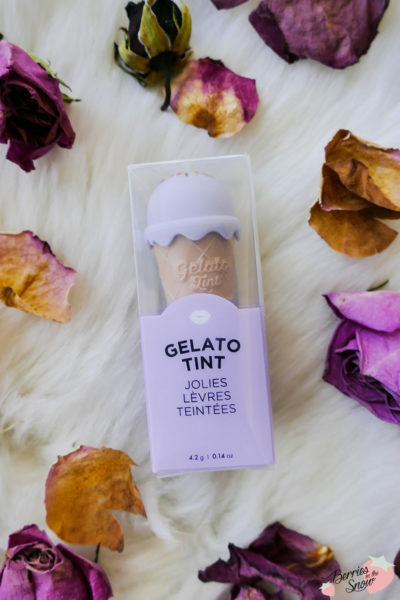 The Face Shop Gelato Tint retails for 9000Won at TesterKorea, which makes around 8 US$. Do you like The Face Shop? And are you team lip tint or lipstick?